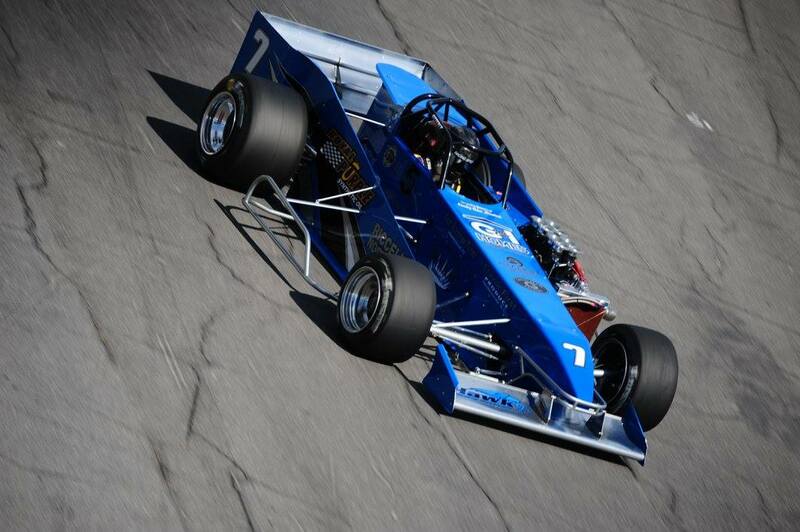 With five nights of racing and six Novelis Supermodified feature events now complete in the 2016 season at Oswego Speedway, Otto Sitterly and the John Nicotra Racing team have retaken the points lead for the second time this year. 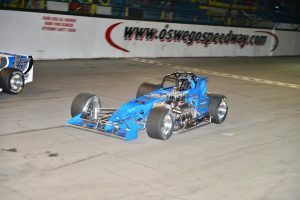 On Saturday night, June 18, with Twin 35-lappers on the card for the supers, Sitterly practiced both the independent front suspension and straight-axle Hawk Jr supermodifieds during warm-ups. The second and final practice session saw Otto top the speed charts in each Royal Purple / G&I Homes / Riccelli Northern No. 7 with a 16.391 lap in the IFS car and a 16.485 lap in the straight-axle roadster. For the first time this year Sitterly opted to drive the straight-axle car and promptly won his heat race, laying down a 16.375 lap in the process, the fastest lap of any car in the heats. Starting P6 for the first feature, Sitterly rode in the sixth position for the first half of the race before a caution flag allowed him to make some moves toward the front. On a lap 17 restart Otto went to the high side of Kody Graham to take over fifth, and later on the same lap disposed of championship rival Michael Barnes to move into the P4 spot. That was all she wrote in this race as Otto would ride P4 behind Dave Danzer, Jeff Abold and Dave Gruel for the remaining 17 laps of the contest. 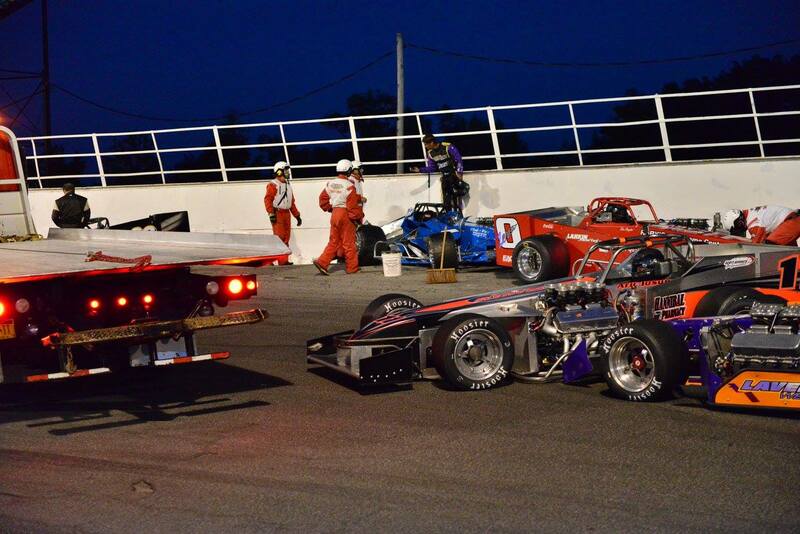 Carnage ensued in the 35-lap nightcap, and unfortunately for the John Nicotra Racing team, Otto would be involved. 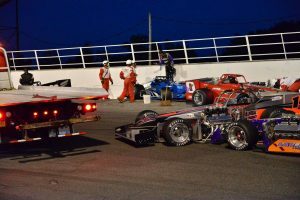 An opening lap accident sent Sitterly and Joe Gosek hard into the turn 2 wall and it looked like Otto’s night would conclude in disappointment and a hit in the point standings. However, when you’re points racing, any possibility of getting the car back on the track in an attempt to gain a position and valuable points needs to be sought. And that’s exactly what Otto and the crew did. 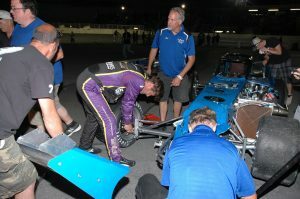 While racing resumed Otto and the Nicotra team went to work, tearing off damaged body panels and running gear and returning the car to working condition, albeit with no tail section, right sidepanel and a heavily damaged nose. 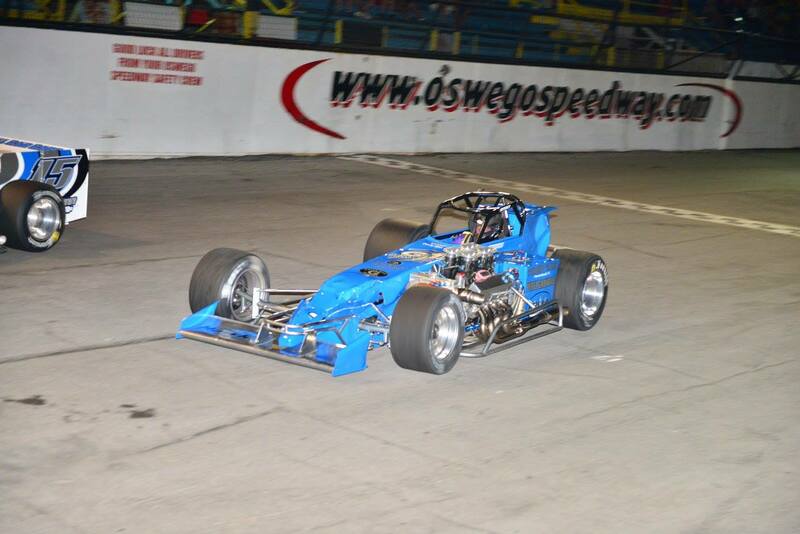 Sitterly returned to the track and made 10 laps to gain two positions. While it may not seem like a big deal, the valuable points have regained the points lead for Sitterly and may prove pivotal in a what looks to be an ultra-tight championship battle as we move into the second half of the season. Oswego Speedway is now off for a week and will return to action Saturday, July 2 for the annual “Grand Prix” 75-lapper for the Novelis Supermodifieds. Otto and the team will again be in search of 2016 win No. 1 in the extra-distance affair.